In the final seconds of Game 1 of the NBA Finals on Thursday, a minor scuffle broke out between the Cleveland Cavaliers and the Golden State Warriors. 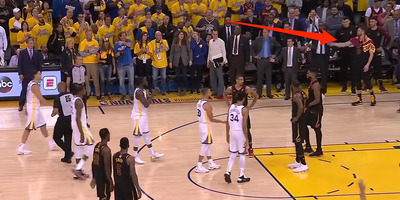 Kevin Love was standing on the court, waiting for the final buzzer to sound, then took a few more steps onto the court when the scuffle began. The NBA forbids players to leave the bench area during on-court altercations. The NBA is likely to review the play, but it’s possible that Kevin Love could be suspended, as the league takes violations of the rule very seriously. UPDATE: Kevin Love won’t be suspended for Game 2. As if losing Game 1 of the NBA Finals in gut-wrenching fashion wasn’t enough, the Cleveland Cavaliers could potentially be without Kevin Love in Game 2. In the final seconds of the game on Thursday, a minor fracas broke out between the Cavaliers and the Golden State Warriors after Tristan Thompson was called for a flagrant foul for appearing to hit Shaun Livingston in the face while contesting a shot. As Draymond Green taunted the upset Thompson, Thompson took the ball and shoved it into Green’s face, causing both teams to pile up before Green and Thompson were restrained. Love wasn’t in the game at the moment but standing on the court, waiting for the final buzzer to sound. 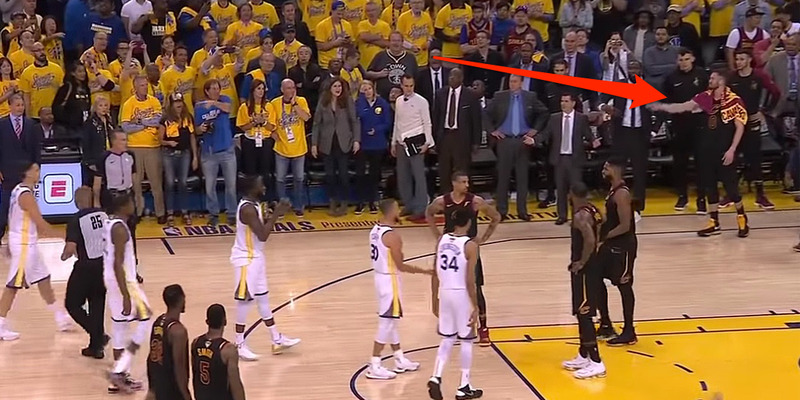 As players from the two teams shoved one another, Love took a few more steps onto the court before a Cavs assistant coach pulled him back. Those few steps could have huge implications for the series. The NBA insists that during any on-court altercation, players on the bench have to remain on the sideline or face suspension if they leave. The rule followed massive brawls like the “Malice at the Palace” and Carmelo Anthony’s fight with the New York Knicks in 2006, when players from both teams ran onto the court and the fights spilled into the crowd. 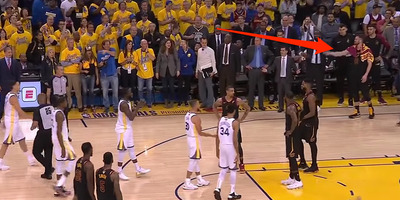 Love could be seen standing on the court after Thompson was called for the foul. Later, after Thompson pushed Green, Love took another step out onto the court. He was pulled away moments later. ESPN’s Brian Windhorst said on “SportsCenter” after the game that it was a matter the league would have to review. Windhorst noted that the rule has a bit of a grey area, as it states players can’t leave the bench “area.” Because Love was already on the court and because the NBA hasn’t recently had many serious incidents with players leaving the bench, the league could give Love a pass. However, if the NBA wants to make a statement and ensure that tensions don’t escalate between the two teams, it might suspend Love for stepping onto the court. The Cavaliers already have a huge emotional hurdle to overcome after unravelling in the final seconds of Game 1. To come back in Game 2 without Love would make the task that much harder.